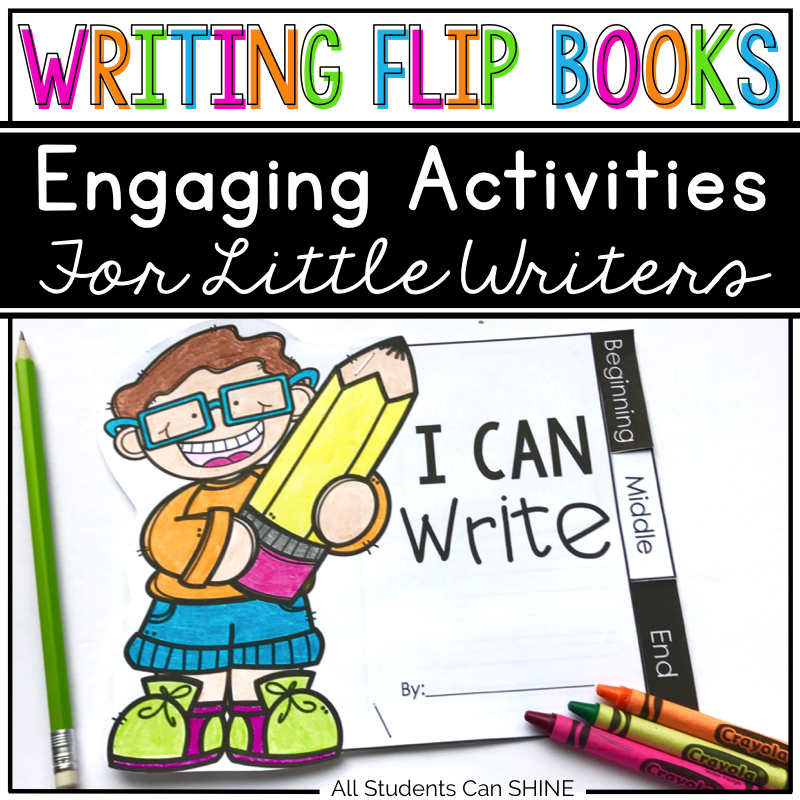 One of my teaching goals this year was to improve my writer's workshop. Every year, I feel like I need to work harder at getting my students to write GOOD narratives. I started this school year with this huge goal for myself and I think things are working out pretty well so far! A few months ago, I started teaching my kiddos about beginning, middle and end. Before that, most of my students were basically writing random sentences that didn't really flow into good stories. I was happy to see how well most of my students were grasping this new concept. However, I had several writers who still struggled with understanding that the three parts of their story needed to create a sequence and form a meaningful story. In order to help these eager writers, I decided to break it down for them. By putting each part (beginning, middle, and end) on a different page, they seemed to better understand that each part had to have good substance in order to create a story that made sense. Also, by putting these pages together and making a "book", my students were REALLY motivated to write and to create their very first book! They got it. I was happy. Life was good! HA! So... I went home that day feeling quite motivated to create new flipbooks for my kiddos. I also made a BUNCH of fun cover choices for my students to work on. They include themes that I teach during the year such as apples, snow, and ocean. I also made a bunch of covers for holidays such as Halloween, Christmas, Valentine's Day, and more. 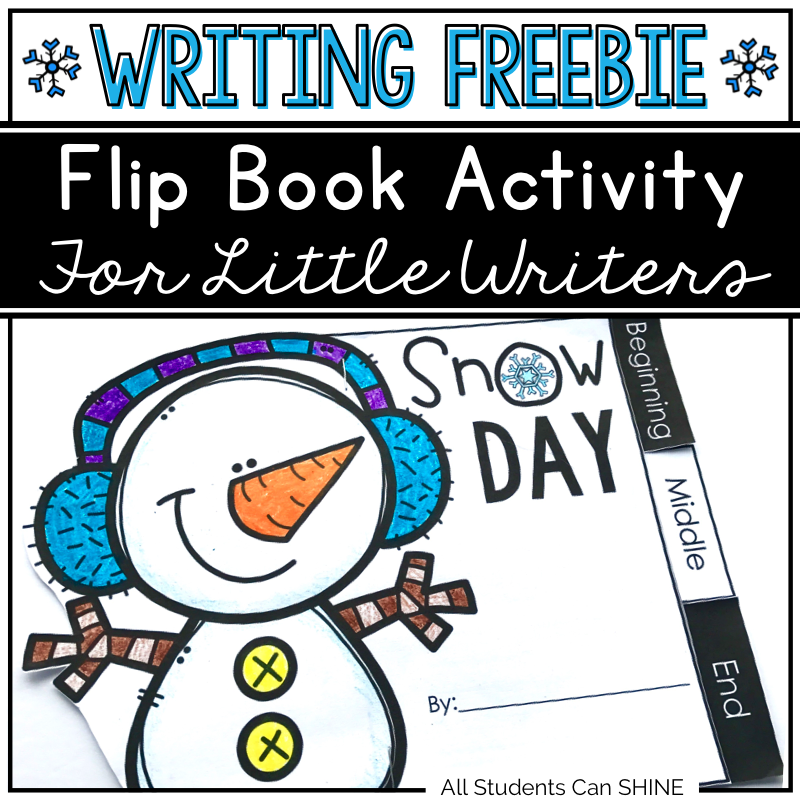 How do I organize my writing flipbooks? I use a binder! I love giving my students choices and I feel the best way is to display them in a center activity or a "work on writing" corner. My little writers can choose any flipbook they want from my binder, pair it with a cover, and write! Want to try them out? Click HERE or on the picture below to grab yourself a freebie! Want to check out the whole set? Click HERE or on the picture below to take a look! I love that you have made little books for your kids to create and write in. I remember making "books" in grade one - I've still got them! I loved illustrating my stories. You're very creative - thanks for sharing your ideas.